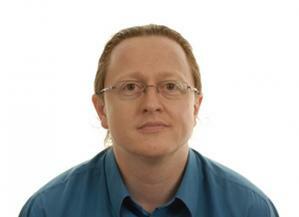 Dr Matthews is a senior researcher with 19 years experience of working in and leading, inter-disciplinary research across social, natural and computational sciences (nine years postdoctoral). Domains of interest include sustainable land use systems (at business, catchment, regional and national scales), climate change (risk, adaptation and mitigation) and the effectiveness of policy interventions. Expertise in the development of decision support systems is now being applied in developing processes of science-stakeholder and science-policy engagement. He is leading the team currently undertaking scenario analysis of option for reform of the Common Agricultural Policy (CAP) Single Farm Payment in collaboration with Rural and Environment Science and Analytical Services Division. He has also undertaken strategic, applied and policy led research for Scottish Government, Defra, Rural Economy and Land Use (RELU) and the European Union. He is a reviewer for several journals, the European Science Foundation and Leverhulme Trust. He has been a member of the International Environmental Modelling and Software Society and Modelling and Simulation Society of Australia and New Zealand since 2002. 2010: IACS-GHGs - pilot project to determine the suitability of IACS data to provide land use change data for annual greenhouse gas estimates. RERAD with Aberdeen University and Centre for Ecology and Hydrology. 2010: CAP-Flattening - Modelling scenarios for CAP pillar 1 area payments using Macaulay LCA (and Less Favoured Area Designations) - RERAD - analysis of area based payment options in support of the Pack Inquiry. 2009: Model Ecosystem Framework - RESAS - scoping the use of ecosystem services approaches to the sustainable management of rural land use systems. 2009: Rural Land use Studies 1 and 2 - RESAS - spatial analysis of biophysical and socio-economic datasets to support baseline, trend and scenario analyses. 2008 - Present: Aquarius: Farmers as Water Managers - Interreg IVb North Sea Region - Coordinator for the Institute - action research on river flow management under climate change - case study of natural flow management. 2007-present: SMILE - EU FP7 SSH - Synergies in Multi-scale Inter-Linkages of Eco-social systems - developing cross-scale social-metabolism analyses using the Cairngorms National part as the case study. 2006-present: Coordinator for Institute in the Sustainable Farming Systems work package of the RESAS research programme Environment and Rural Stewardship - leading on ecosystem based sustainability assessment, resilience of land use systems and adaptation to climate change. 2006-present: AGRIGRID: Methodological grids for payment calculations in rural development measures in the EU FP6 Specific Targeted Research Action - multi-scale analysis options for organic conversions and support payment. 2007: C4LU - communicating climate change consequences for land use - SG Science Communication Fund project using case-studies with rural stakeholders to stimulate deliberation on adaptive responses to climate change. 2007: SAF-JAC: Scottish Government research study to assess to what extent data from the Single application Form could be used to meet the statistical requirements of the June Agricultural Census: creation of spatiotemporal land use maps at field scale for Scotland. 2004-2006: Policy relevant assessments of farm-scale sustainability, principal investigator for a RELU scoping study with colleagues from Centre for Ecology and Hydrology. 1997-2006: Development of strategic farm-scale decision support systems for multi-objective land use planning - this included both the development of computer-based simulation models and their use in deliberative inclusive processes, for example: on trade-offs in land use planning, options for Common Agricultural Policy reforms and the key research questions for stakeholders posed by climate change. 2001-2005: Development of the multi-crop simulation model CropSyst - collaboration with Washington State University, Department of Biological Systems Engineering. 2003-2005: Case study analysis of the impacts of climate change for mixed farming in Scotland and Italy with the Institute for Industrial Cropping in Bologna. 1995-2005: Decision-support systems for assessing land use options at the farm level. 1995-2002: Development of low cost remote sensing method to enhance field survey. 1991-1993: Evaluation of the regional impacts of climate change on agriculture. Matthews, K.B. (2019) BREXIT Framework Contracts: Lot 6: Impact of leaving the EU on Scotland’s rural areas. Hutton capability statement BREXIT framework contracts., Capability Statement for The James Hutton Institute, 24 January 2019. (Document prepared in response to request from RESAS for post-Brexit strategic support for policy support, December 2014). Toma, L.; Barnes, A.P. ; Sutherland, L.A.; Thomson, S.; Burnett, F.; Mathews, K.B. (2018) Impact of information transfer on farmers' uptake of innovative crop technologies: a structural equation model applied to survey data., Journal of Technology Transfer, 43, 864-881. Matthews, K.B. (2018) Analysis of the degree to which a reduction in LFASS payments would be offset by increased payments from the transition from historic to area-based direct payments. , Confidential Analysis for RESAS, 11 December 2018. Sutherland, L-A. ; Hopkins, J.; Toma, L.; Barnes, A.; Matthews, K.B. (2017) Adaptation, resilience and CAP reform: a comparison of crofts and livestock farms in Scotland., Scottish Geographical Journal, 133, 192-213. Hopkins, J.; Sutherland, L.A.; Ehlers, M.; Matthews, K.B. ; Barnes, A.; Toma, L. (2017) Scottish farmers' intentions to afforest land in the context of farm diversification., Forest Policy and Economics, 78, 122-132. Matthews, K.B. (2017) Ecological Focus Area 2015 - breakdown of the measures taken up., Confidential analysis and data passed to Scottish Government. Matthews, K.B. (2017) Rural Industries WP Quarterly Meeting - Report, Report for WP Engage Site. Sutherland, L-A. ; Toma, L.; Barnes, A.P. ; Matthews, K.B. ; Hopkins, J. (2016) Agri-environmental diversification:linking environmental, forestry and renewable energy engagement on Scottish farms., Journal of Rural Studies, 47, 10-20. Barnes, A.; Sutherland, L.A.; Toma, L.; Matthews, K.B. ; Thomson, S. (2016) The effect of the Common Agricultural Policy Reforms on intentions towards food production: evidence from livestock farmers., Land Use Policy, 50, 548-558. Bellocchi, G.; Rivington, M.; Matthews, K.; Acutis, M. (2015) Deliberative processes for comprehensive evaluation of agroecological models. A review., Agronomy for Sustainable Development, 35, 589-605. Slee, B.; Brown, I.; Donnelly, D.; Gordon, I.J. ; Matthews, K.B. ; Towers, W. (2014) The ‘squeezed middle’: identifying and addressing conflicting demands on intermediate quality farmland in Scotland., Land Use Policy, 41, 206-216. McIntosh, B.S. ; Ascough, J.C. II; Twery, M.; Chew, J.; Elmahdi, A.; Haase, D.; Harou, J.J.; Hepting, D.; Cuddy, S.; Jakeman, A.J. ; Chen, S.; Kassahun, A.; Lautenbach, S.; Matthews, K.B. ; Merritt, W.; Quinn, N.W.T. ; Rodriguez-Roda, I.; Sieber, S.; Stavenga, M.; Sulis, A.; Ticehurst, J.; Volk, M.; Wrobel, M.; van Delden, H.; El-Sawah, S.; Rizzoli, A.; Voinov, A. (2011) Environmental decision support systems (EDSS) development - challenges and best practices., Environmental Modelling and Software, 26, 1389-1402. Belocchi, G.; Rivington, M.; Donatelli, M.; Matthews, K.B. (2010) Validation of biophysical models: issues and methodologies. A review., Agronomy for Sustainable Development, 30, 109-130. McIntosh, B.S. ; Alexandrov, G.; Matthews, K.B. ; Mysiak, J.; van Ittersum, M. (2010) Editorial - Preface to the Thematic Issue: On the assessment and evaluation of environmental models and software., Environmental Modelling and Software, 26, 245-246. Blackstock, K.L. ; Dunglinson, J.; Matthews, K.B. ; Dilley, R.; Futter, M. (2009) Climate proofing Scottish River Basin Planning: A future challenge., Environmental Policy and Governance, 19, 374-387. Matthews, K.B. ; Wright, I.A. ; Buchan, K.; Davies, D.A. ; Schwarz, G. (2006) Assessing the options for upland livestock systems under CAP reform: developing and applying a livestock systems model within whole-farm systems analysis., Agricultural Systems, 90, 32-61. Rivington, M.; Matthews, K.B. ; Bellocchi, G.; Buchan, K.; Stockle, C.O. ; Donatelli, M. (2006) An integrated assessment approach to conduct analyses of climate change impacts on whole-farm systems., Environmental Modelling Software, 22, 202-210. Rivington, M.; Matthews, K.B. ; Buchan, K.; Bellocchi, G. (2006) Evaluating uncertainty introduced to process-based simulation model estimates by alternative sources of meteorological data., Agricultural Systems, 88, 451-461. Matthews, K.B. ; Buchan, K.; Sibbald, A.R. ; Craw, S. (2006) Combining deliberative and computer-based methods for multi-objective land-use planning., Agricultural Systems, 87, 18-37. McIntosh, B.S. ; Giupponi, C.; Smith, C.; Voinov, A.; Matthews, K.B. ; Monticino, M.; Kolkman, M.J.; Crossman, N.; van Ittersum, M.; Haase, D.; Haase, A.; Mysiak, J.; Groot, J.C.J. ; Sieber, S.; Verweij, P.; Quinn, N.; Waeger, P.; Gaber, N.; Hepting, D. (2006) Bridging the gaps between design and use: developing tools to support management and policy., IEMSs 2006 Position Papers. Matthews, K.B. ; Hutchins, M.G. ; Hill, G. (2006) Bridging the design-use gap for DSS in environmental policy and practice., IEMSs 2006 Summit on Environmental Modelling and Software, Burlington, Vermon, USA, 9-12 June 2006. Rivington, M.; Bellocchi, G.; Matthews, K.B. ; Buchan, K. (2005) Evaluation of three model estimations of solar radiation at 24 UK stations., Agricultural and Forest Meteorology, 132, 228-243. Matthews, K.B. ; Schwarz, G.; Buchan, K. (2005) Wither agricultural DSS?, 16th Conference of the Modelling and Simulation Society of Australia and New Zealand - "Advances and Applications for Management and Decision Making", MODSIM 05. (Ed. A. Zerger). Rivington, M.; Bellocchi, G.; Matthews, K.B. ; Buchan, K. (2004) An integrated modelling approach to conduct multi-factorial analyses on the impacts of climate change on whole-farm systems., In: Pahl-Wostl, C. et al. (eds), Complexity and Integrated Resource Management, Proceedings of the 2nd Biennial Meeting of the International Environmental Modelling and Software Society (iEMSs), Osnabruck, Germany, 14-17 June 2004. Wright, G.G. ; Matthews, K.B. ; Tapping, J. (2003) Combining metric aerial photography and near-infrared videography to define within-field soil sampling frameworks., GeoCarto International, 18, 1-8. Wright, G.G. ; Matthews, K.B. ; Cadell, W.M. ; Milne, R. (2003) Reducing the cost of multi-spectral remote sensing: combining near-infrared video imagery with colour aerial photography., Computers and Electronics in Agriculture, 38, 175-198. McIntosh, B.S. ; Giupponi, C.; Voinov, A.A.; Smith, C.; Matthews, K.B. ; Monticino, M.; Kolkman, M.J.; Crossman, N.; van Ittersum, M.; Haase, D.; Haase, A.; Mysiak, J.; Groot, J.C.J. ; Sieber, S.; Verweij, P.; Quinn, N.; Waeger, P.; Gaber, N.; Hepting, D.; Scholten, H.; Sulis, A.; van Delden, H.; Gaddis, E.; Assaf, H. (2008) Bridging the gap: developing tools for environmental policy and management., In: Jakeman, T., Rizzoli, A., Voinov, A. & Chen, S.H. (eds.). 2008. Environmental Modelling and Software: State of the Art and New Perspectives Developments in Integrated Environmental Assessment. Elsevier, Volume 3, 33-45. Cadell, W.; Matthews, K.B. (2005) Mapping downhill skiing's environmental impact: evaluating the potential of remote sensing in Scotland., In: Mountains of Northern Europe: Conservation, Management, People and Nature (eds. D.B.A. Thompson, M.F. Price and C.A. Galbraith). The Stationery Office Ltd., Edinburgh. pp197-202.